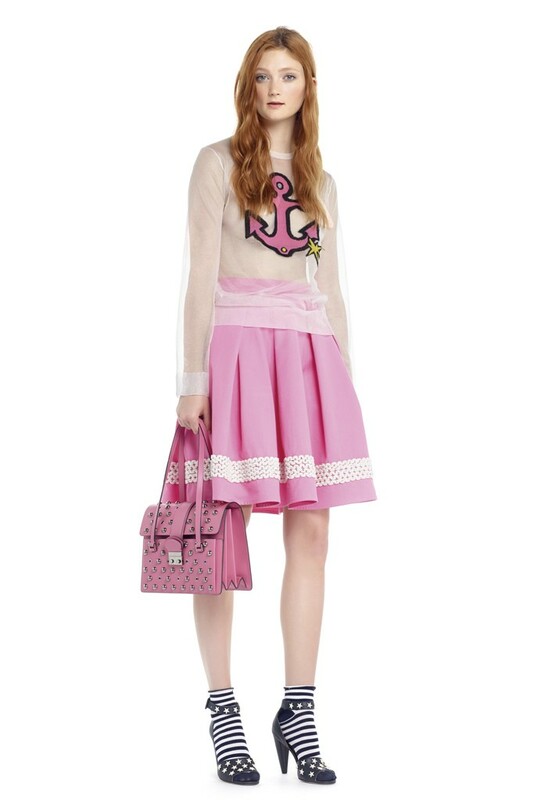 The Valentino by Maria Grazia Chiuri and Pierpaolo Piccioli Spring/Summer 2015 Show paid tribute to the Grand Tour, a traditional tour of Europe, which was undertaken by wealthy Europeans. 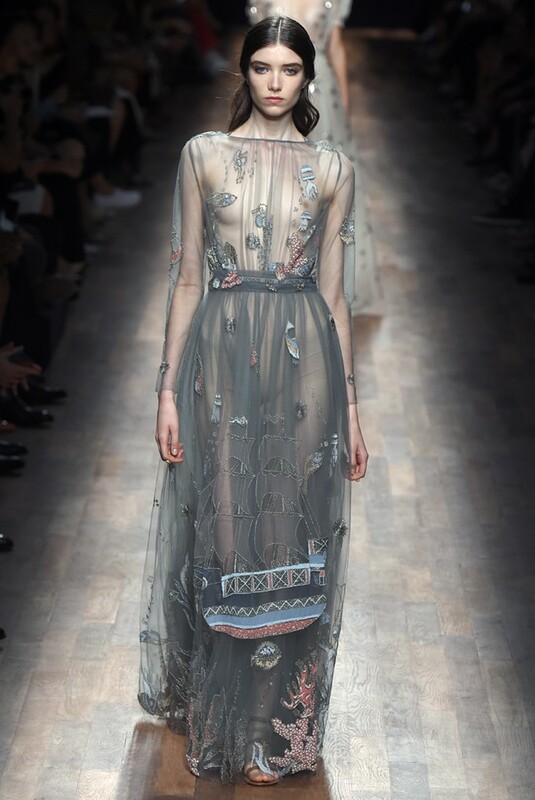 The Valentino by Maria Grazia Chiuri and Pierpaolo Piccioli Couture Autumn/Winter 2014-2015 Show was a tribute to Ancient Rome and to painters such as Lawrence Alma-Tadema. Other Ancient Rome-inspired collections : Dolce & Gabbana Spring/Summer 2003 (the eclectic references of this show included Ancient Rome), Dolce & Gabbana Spring/Summer 2014 (the Guido Palau-styled braided chignons of this show were influenced by Ancient Rome). To read about other Ancient Rome-inspired collections or Lawrence Alma-Tadema-influenced collections, search for the « Rome » and « Lawrence Alma-Tadema » posts that I have respectively published on July 8, 2013 and on January 26, 2014. 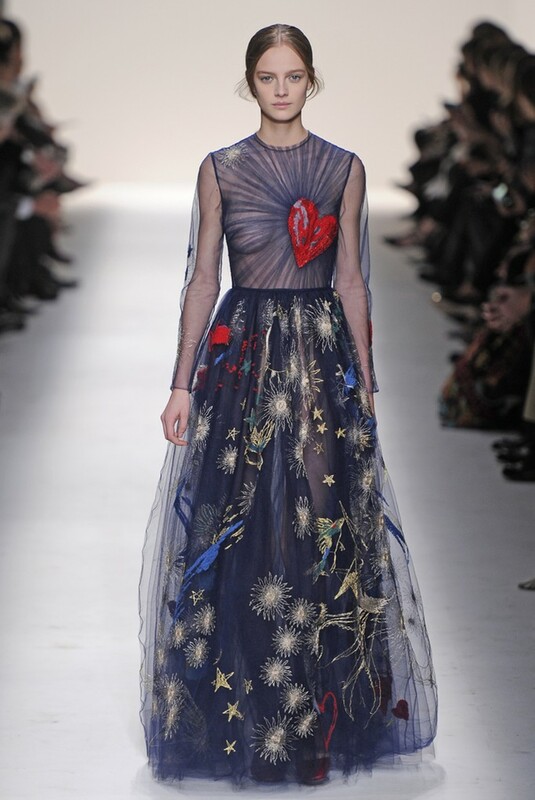 Female Roman artists such as Giosetta Fioroni have influenced the Valentino by Maria Grazia Chiuri and Pierpaolo Piccioli Autumn/Winter 2014-2015 Show. 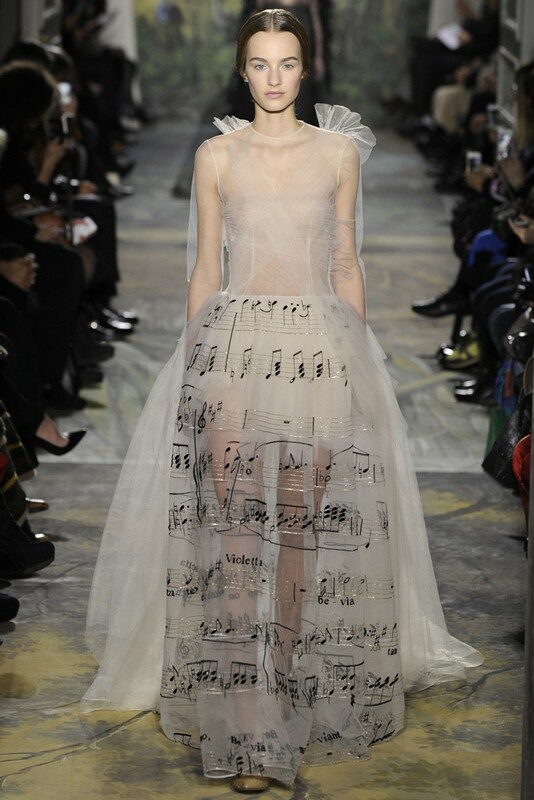 An extract from the score of Giuseppe Verdi’s « La traviata » is embroidered on the 1st look of the Valentino by Maria Grazia Chiuri and Pierpaolo Piccioli Couture Spring/Summer 2014 Show, which paid tribute to 55 different operas. 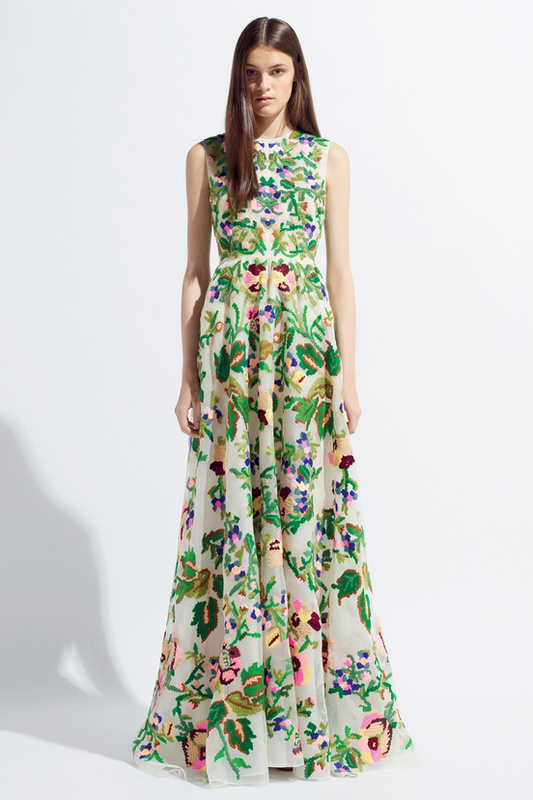 Ibiza’s bohemian past has influenced the floral embroideries of the Valentino by Maria Grazia Chiuri and Pierpaolo Piccioli Resort 2014 Collection. Other Ibiza-inspired collections : D&G by Dolce & Gabbana Spring/Summer 2006 Menswear (the theme of this collection was « a pizza party in Ibiza »), Missoni Spring/Summer 2010 (the looks of this show were based on Ibiza raves).